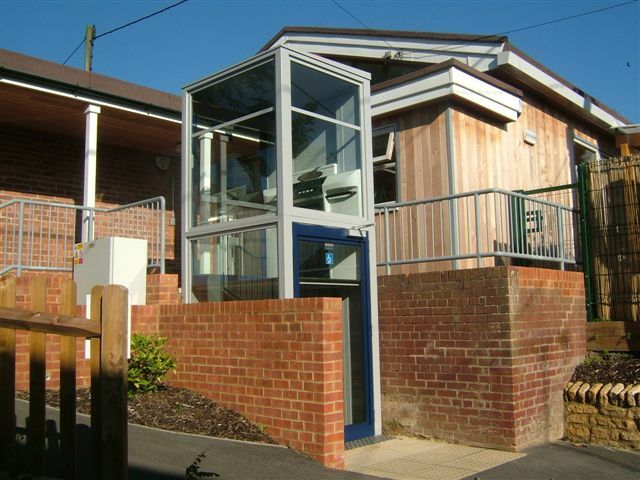 Dolphin can supply and install a comprehensive range of disabled access lifts tailor made to suit each site. We have wheelchair platform lifts that can travel up straight and curved stairs, step lifts for short rises and vertical lifts that can travel multiple storeys if required. We will send a representative to your premises to advise on possible solutions and this person will oversee the entire project from survey to installation. Unlike regular platform lifts, incline platform lifts follow the course of both straight and even curved staircases. They can also be conveniently folded-up, so as not to block the staircase for other users. Incline Wheelchair Lifts are ideal for locations that are too high for ramps or for which it might be too complicated to install a new lift shaft. An internal wheelchair platform lift is often used inside of buildings as an alternative to a vertical platform lift. Semi-Ambulant users can be catered for by choosing the folding seat option. 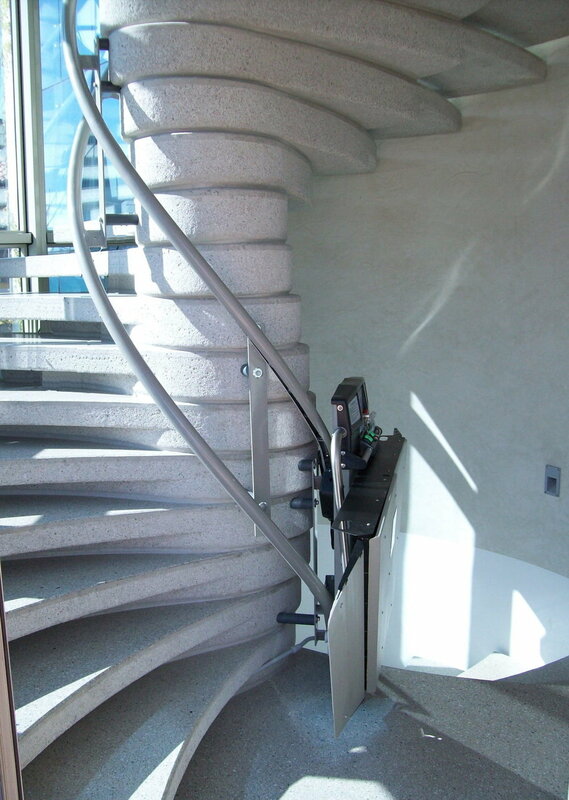 Generally speaking they are installed in public buildings because most domestic stairways are too narrow. A Platform Lift serves to replace stairs, by moving wheelchairs users vertically between two levels. A Vertical Lift is an extended platform lift that covers many storeys, enclosed in its own shaft. Its discrete, self-contained construction makes it ideal for commercial premises and public buildings, but also for domestic residences with more than one storey because it can be customised to fit in with the current décor. Open platform lifts are used when there is only a short rise (up to 3 metres) involved. They are often installed next to a set of steps and can be fitted indoors and outdoors with a variety of platform sizes.